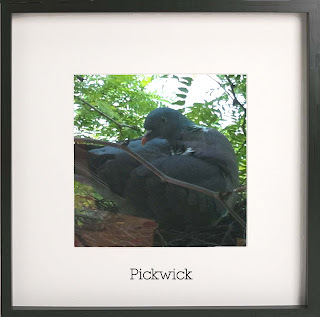 Picture Book Party: Meet Pickwick the pigeon! Thank you to everyone who entered our competition last month to name the resident Walker pigeon; we had a hamper full of brilliant entries but in the end the prize went to Jazzmine B who has officially named the pigeon Pickwick! With the rain threatening to stick around for another week, Pickwick is staying put in the nest for now. If the rain's got you housebound too, check out our free downloadable activity sheets to keep your little ones busy until the sun comes back. How To Get a Job, by Me, The Boss.